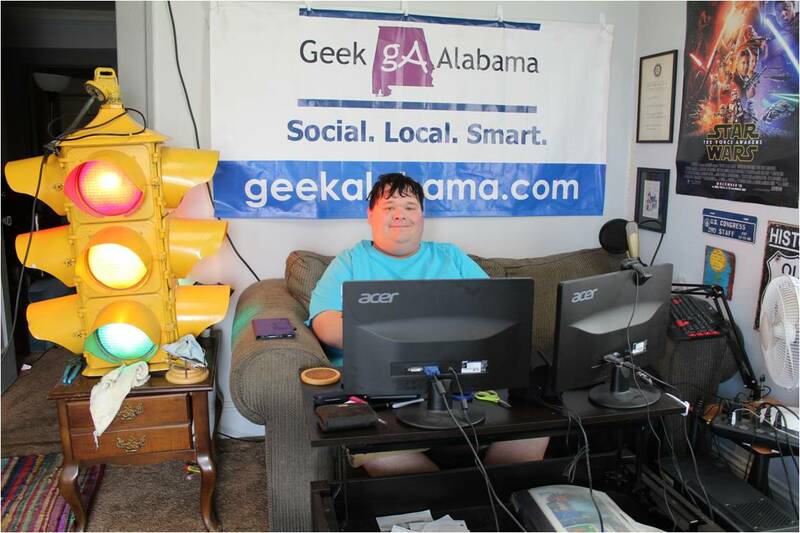 UPDATE: Post written by Calhoun County Insight with additional stuff added by me. 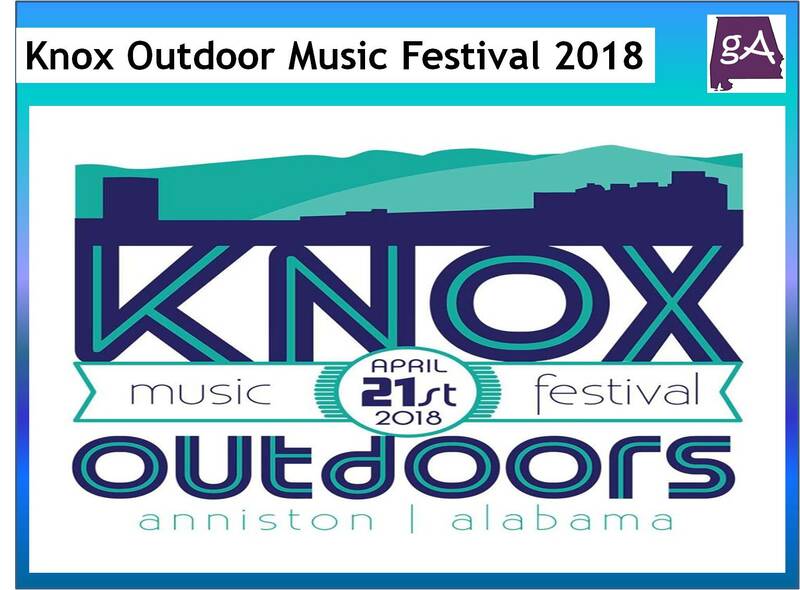 Knox Outdoors Music Festival returns to downtown Anniston for its second year. Alabama’s own Drake White will headline the festival on April 21 in historic Zinn Park. Pre-sale general admission tickets are available now for $20, and VIP tickets are $100. GA tickets will be available at the gate for $25. Kids 12 and younger get in free. VIP tickets include access to the VIP area, a private viewing area at the stage, VIP restrooms, food, beer, and wine. 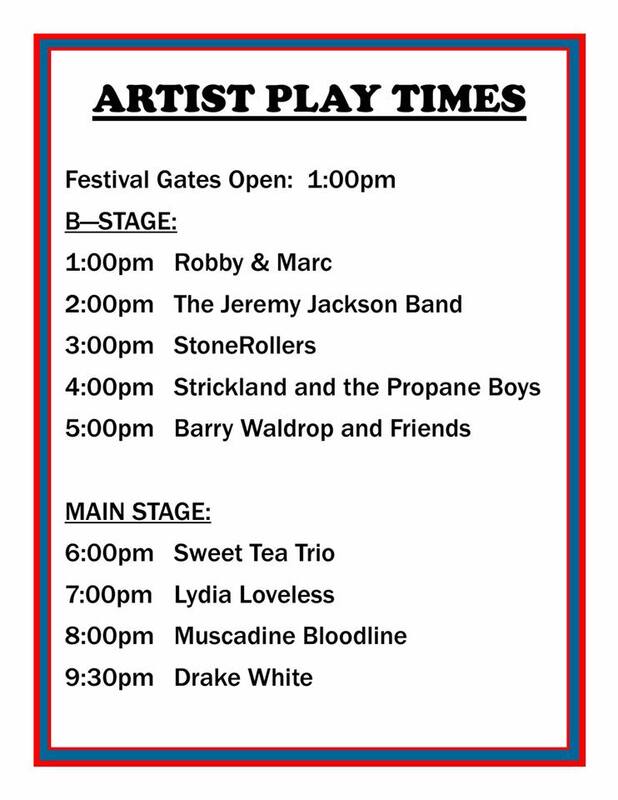 Gates open at 1:00 pm for the festival which will include arts and crafts vendors, food trucks, and the Knox Kid Zone. 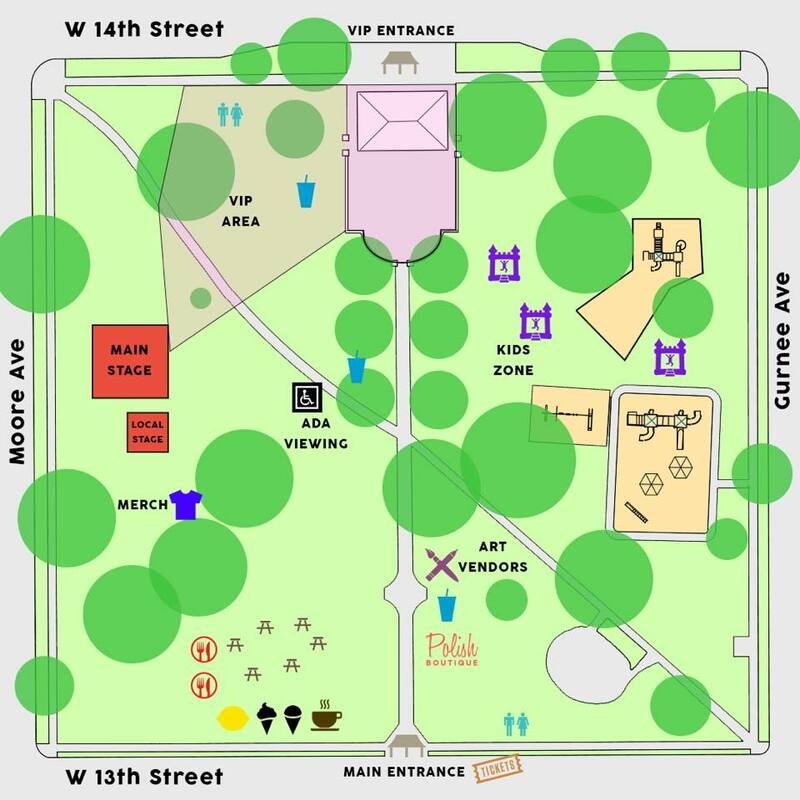 There will be two stages set up in Zinn Park and bands will play either stage throughout the festival. Here are the times each performer will take the stage. Knox Outdoors Music Festival is a rain or shine event. (The weather will be perfect on Saturday!) The Knox Kid Zone will be set up at the playground at Zinn Park. There will be several inflatables in addition to the playground. Arts and crafts vendors from all over the Southeast will be at Knox Outdoors including clothes, paintings, and woodwork just to name a few. Food vendors will be open for the duration of the festival and will include food trucks, BBQ, pizza, lemonade, and much more. 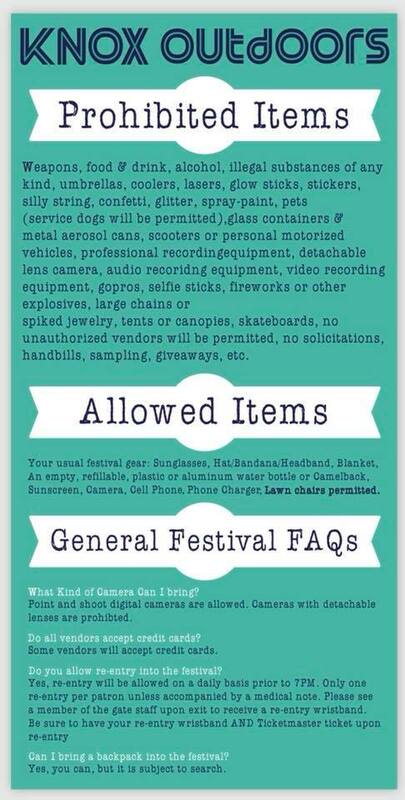 Also look for concession stands throughout the festival that will be selling water, lemonade, sodas, beer, and wine.